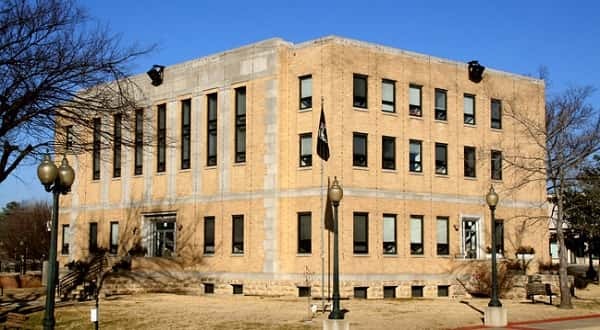 The Baxter County Quorum Court breezed through the six items on its agenda Tuesday evening in about 12 minutes, including passage of an $18.3 million budget for 2019. With all justices present and no questions asked, the court quickly gave its unanimous approval to a budget more than $3 million larger than the one the county is currently operating under. The new budget reflects new sales tax funding for construction, as well as maintenance and operation, of the voter approved expansion of the county jail. The budget breaks down into two sections, county general and restricted. As its name implies, the restricted portion of the budget of over $10.1 million must be used for specific purposes. Examples would be those dollars designated for road and bridge and jail expansion. The remaining portion of the proposed budget of $8.2 million is the part for which the county has leeway. The budget reflects the first step in the adoption of the outcomes of a wage study the quorum court authorized earlier and the impact of the passage of the voter approved new minimum wage law. Judge Mickey Pendergrass says 23 positions have been adjusted based on the wage study, at an approximate cost in 2019 of $21,000. In other business, in addition to three appropriation housekeeping matters, the court placed an ordinance adopting revisions and additions to the county personnel policy manual on its first reading. The manual was adopted in 2007. And, it was the final meeting for four of the justices. Judge Pendergrass recognized the four members with plaques. Justice Rick Stiner was recognized for completing the last 18 months of a term representing District 3. Justice Marilyn Williamson was recognized for serving two terms representing District 7, Justice Colonel Bill Lucas for three terms representing District 4 and Neal Pendergrass five terms representing District 9. A fifth seat representing District 5 is vacant with the resignation earlier this year of James Kerr Jr. When Judge Pendergrass gavels the quorum court into session in January, he'll be looking out across the courtroom at five new justices in the 11-member body. New justices include Robert Lowery, Dirk Waldrop, Maryanne Edge, Charles Osgood, and Cameron Davis. Judge Pendergrass told KTLO, Classic Hits and The Boot news earlier this year this is the largest number of new quorum court members he will have worked with as he enters his fourth term.